Welcome to The Senior Residence at St. Peter the Apostle! The Senior Residence at St. Peter the Apostle is a 23-unit affordable supportive senior housing community. 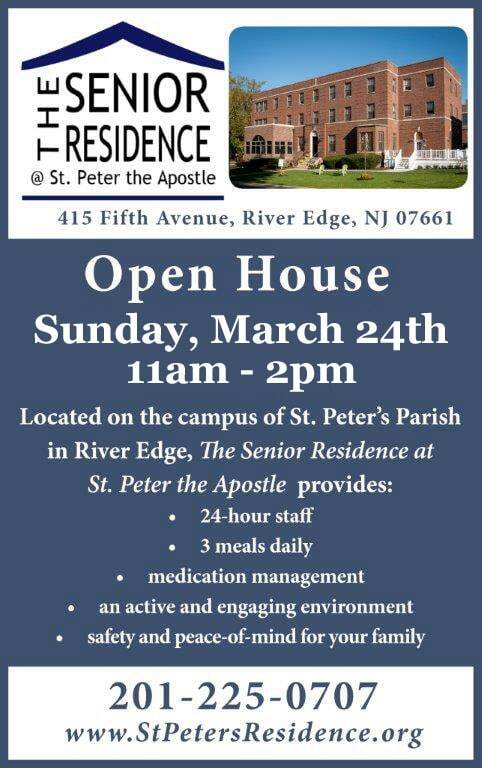 Located on the campus of St. Peter the Apostle Church and Van Saun Park in River Edge, NJ, the residence provides a safe, warm and affordable home to seniors. services, and enriching programs to enhance the lives of seniors. The Senior Residence welcomes people of all religions aged 60 and older. Veterans are encouraged to apply. Amenities include: three meals a day, housekeeping, recreation, medication management, private room and 24-hour on-site staff. We encourage you to explore this website to learn more about The Senior Residence for yourself, a family member or a friend. Our agency had the privilege of providing caregivers to The Senior Residence for the first year and a half of its operation when that function was brought in-house. The Residence is adjacent to Van Saun Park and is a great option for seniors looking for an independent community in the Bergen County area. The facility offers the charm of a traditional building--high ceilings, hardwood floors and a beautiful, brick-enclosed sun porch--along with the comforts and convenience of a modern kitchen and bathrooms. The staff are caring and responsive. St. Peter is truly a home to its residents. I cannot say enough about St. Peter's Senior Residence. Our family feels so very blessed to have found such a caring environment for our brother Kevin. The facility is immaculate, warm and inviting. I am amazed at the degree to which every detail of daily living has been thoughtfully orchestrated. My brother needs consistent and loving support with meals, meds and daily living, He was only there a couple of months before he referred to the residents and helpers as his "St. Peter's family." The emotional atmosphere is intimate and personal. The staff does so much to celebrate the individual. The food is home made and outstanding. He can get his room cleaned, his cloths washed. The food is very good and they accommodate for different dietary needs. Rates are reasonable for what is provided. All in all, a win! My friend, Arnold Ackerman, has been at the Senior Residence since it opened. He is well taken care of and the staff there are so caring and absolutely fabulous! I have been recommending people to this place since it opened and 2 residents are there because of my referrals. Gina Principato is so amazing and goes out of her way day or night to care for all the residents. Also, Connie and Miguel have gone out of their way to make Arnold comfortable. I am so thankful that we found this place for Arnold, it is local and I live in River Edge down the road. It is also a coincidence since my dear Aunt lived there about 15 years ago when it was previously opened so I knew it would be the place for Arnold. 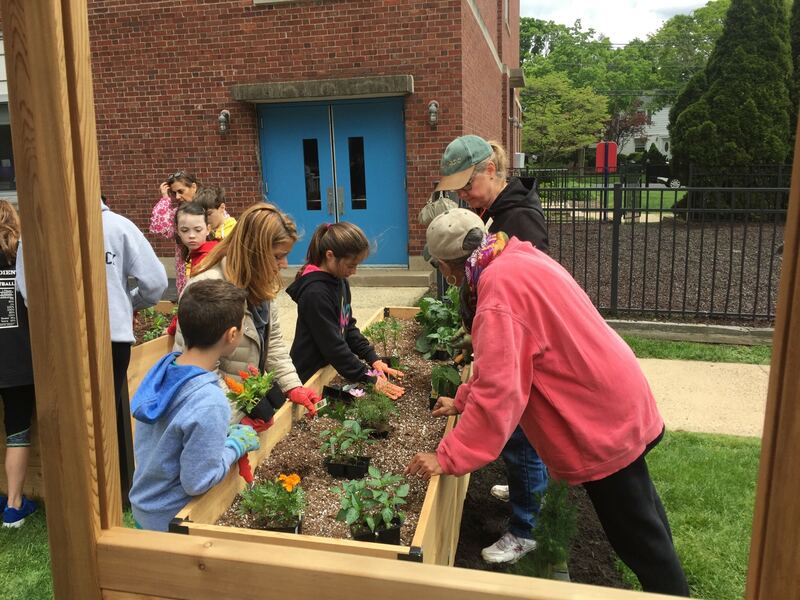 Stop by and check out The Senior Residence Therapeutic Garden and click on the picture to see more!